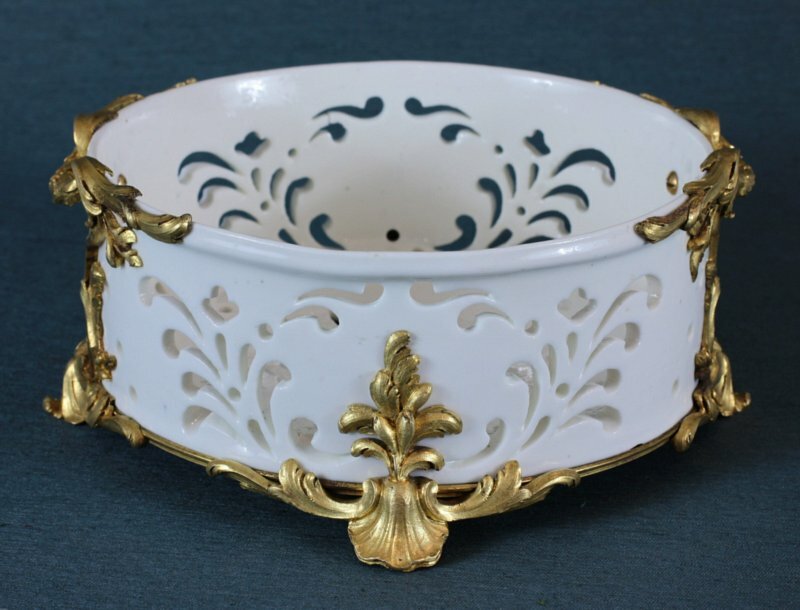 Rare Vincennes cheese dish (fromager, égouttoir à fromage frais) in fine Louis XVI ormoulu mounts. The circular plain white porcelain dish has incised piercings used to strain the liquid from fresh cheese. The base is decorated with concentric rings of circles centered on a star formed by five lenticular cutouts. The sides are decorated with two facing pyramids of circles and two facing patterns of reticulated scrolls forming stylized acanthus leaves.